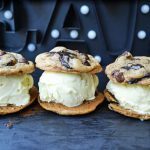 Chocolate Chip Cookies Ice Cream Sandwiches made with easy homemade vanilla bean ice cream sandwiched between two rich sea salt chocolate chunk cookies. It’s a match made in heaven! 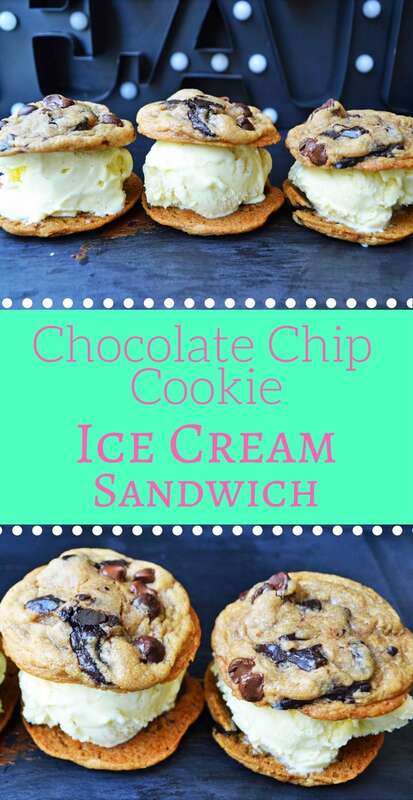 This is a dream dessert right here. 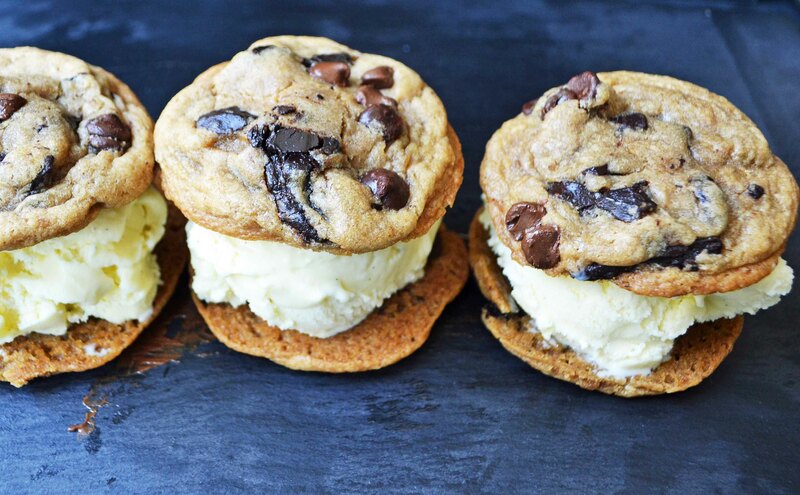 I have eaten my fair share of chocolate chip cookie ice cream sandwiches in my life. There have been some winners and some serious duds, so I decided it was time to make my own ultimate ice cream sandwich. 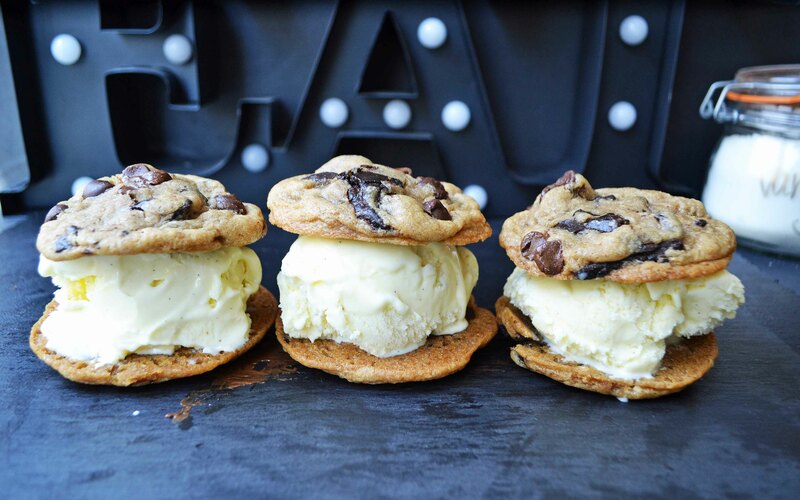 The rich sea salt chocolate chip cookie pairs perfectly with the sweet vanilla bean ice cream. 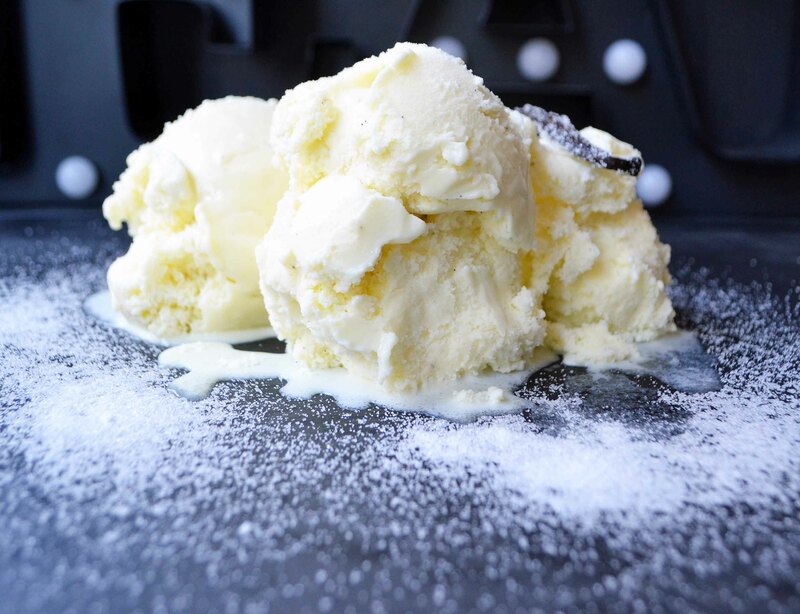 This homemade vanilla bean ice cream is beyond simple. It is made with only four simple ingredients — heavy cream, half-n-half, sugar, and vanilla bean. No eggs required in this recipe which cuts the cooking time in half. You can use vanilla beans, pure vanilla extract, or vanilla bean paste. 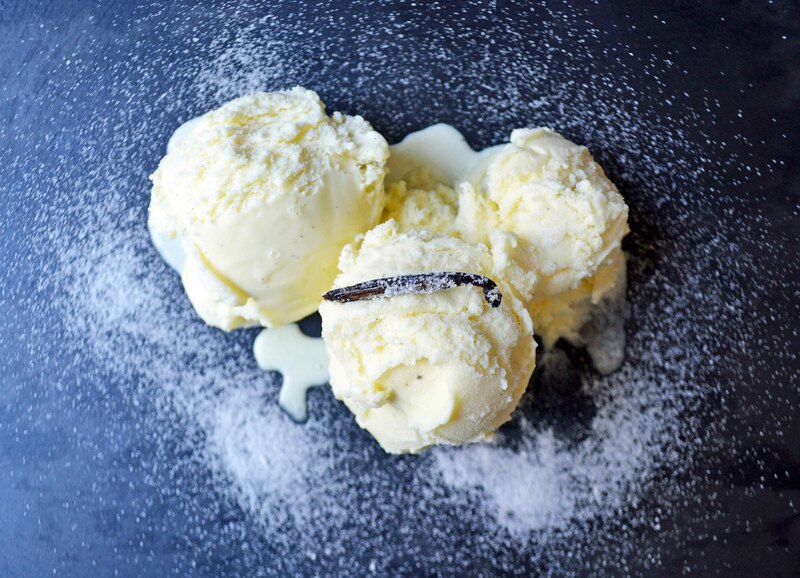 The vanilla beans give the most authentic vanilla flavor to the ice cream. This chocolate chip cookie recipe creates a soft, decadent, rich chocolate chunk cookie. This chocolate chip cookie dough is made by creaming the butter and sugars for 5 minutes until light and fluffy. The eggs are added one at a time and 2 whole teaspoons of vanilla extract give it extra flavor. The cookie recipe calls for two different leavening agents — baking soda and baking powder which gives a nice rise without being cakey. A bit of sea salt cuts the sweetness of the cookie. The chocolate is incredibly important and I love to chop small slivers off of a Trader Joe’s Pound Plus bar. It melts so beautifully! Chilling the cookie dough for at least 30 minutes helps it keep its shape. It is ideal to chill the dough for at least 24 hours as it creates a richer tasting cookie. After you bake the cookies, let them cool completely for at least 20-30 minutes before filling with vanilla ice cream. 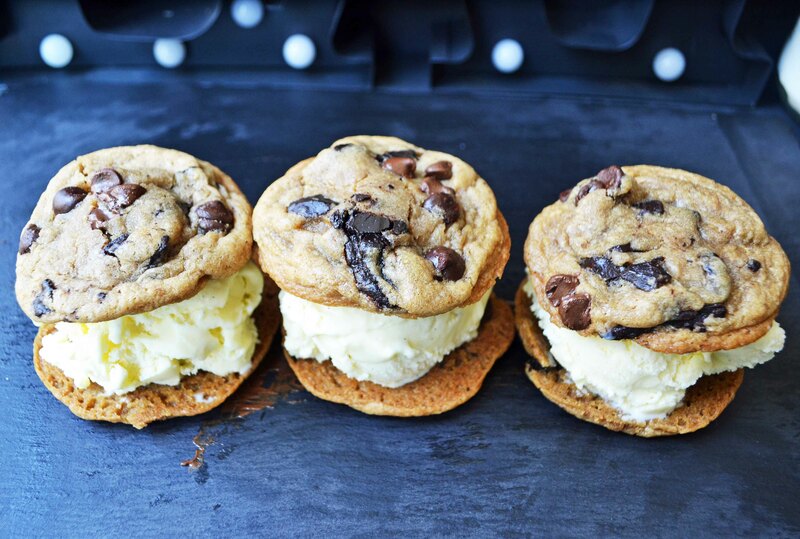 The ultimate chocolate chip cookie ice cream sandwich made with homemade vanilla bean ice cream sandwiched between rich chocolate chip cookies. In large bowl, cream butter and sugar for 5 minutes, until light and fluffy. Add eggs one a time, creaming after each addition. Add vanilla. Stir in flour, baking soda, baking powder, and salt. Fold in chocolate chunks. Chill for 30 minutes (cover entire bowl tightly or wrap dough in Saran Wrap). If you can hold out, chill for at least 24 hours as the cookie dough get better in time. Drop on cookie sheet. Sprinkle with maldon sea salt flakes. Bake for 10-13 minutes. When finished churning, transfer to airtight container. Allow ice cream to harden in freezer for 30 minutes to 1 hour. 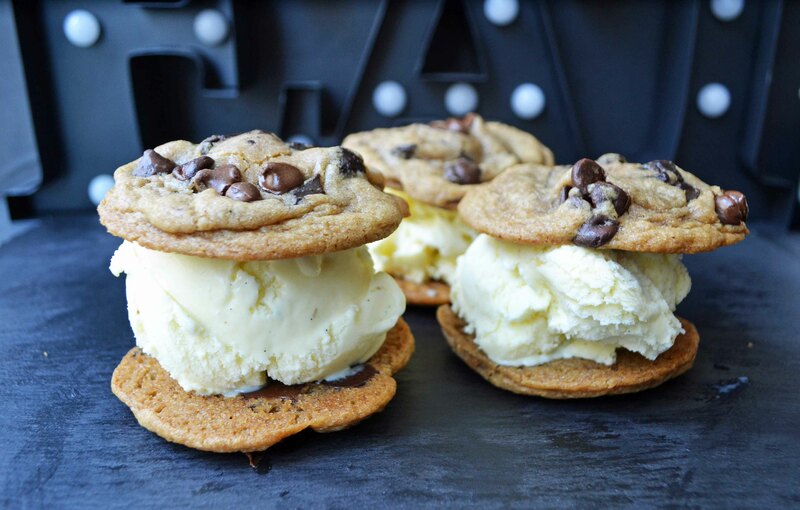 Once cookies have cooled, place scoop of vanilla bean ice cream on bottom of one cookie. Top with another cookie. Eat immediately or wrap tightly and place in freezer until ready to eat.